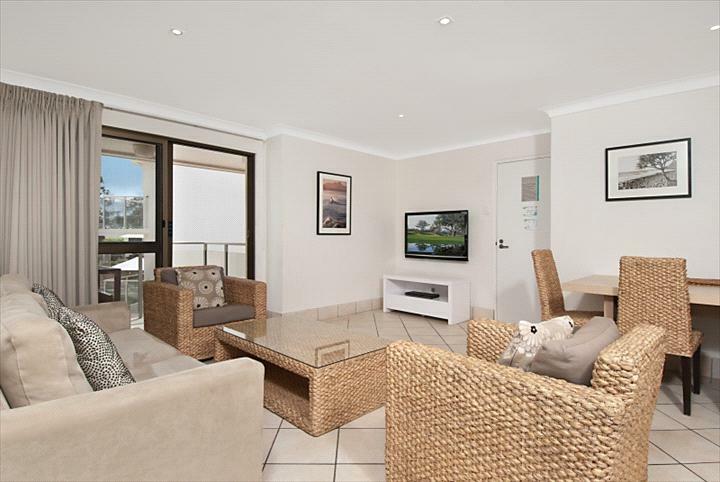 This apartment complex is located directly opposite Byron main beach in one of the most central and pristine positions in Byron, a mere 100 metres from the landmark Beach Hotel. 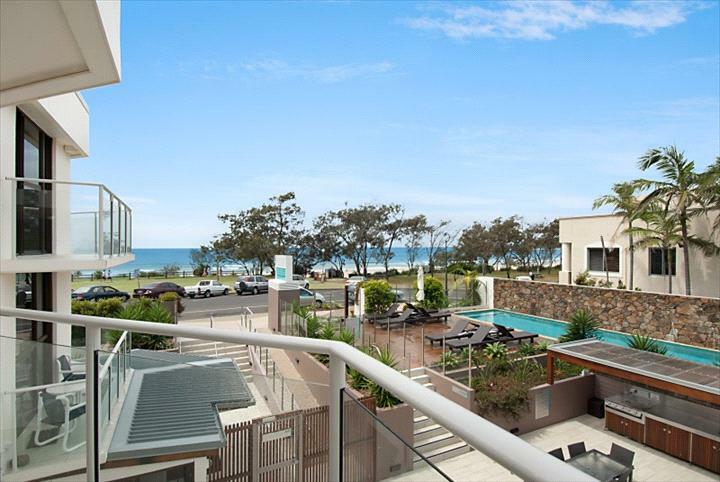 The complex is three storeys high and offers a variety of views from the units to the beach, to the common area courtyard and to the hinterland to the west. 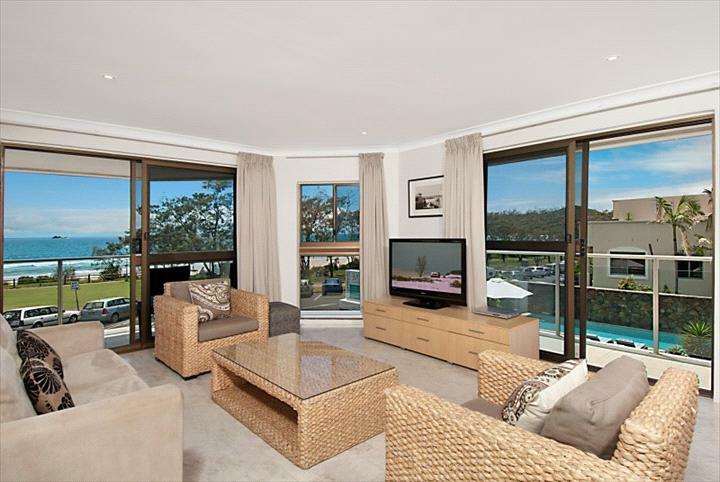 All units have balconies or outside terraces nestled within the tropical landscaped grounds. 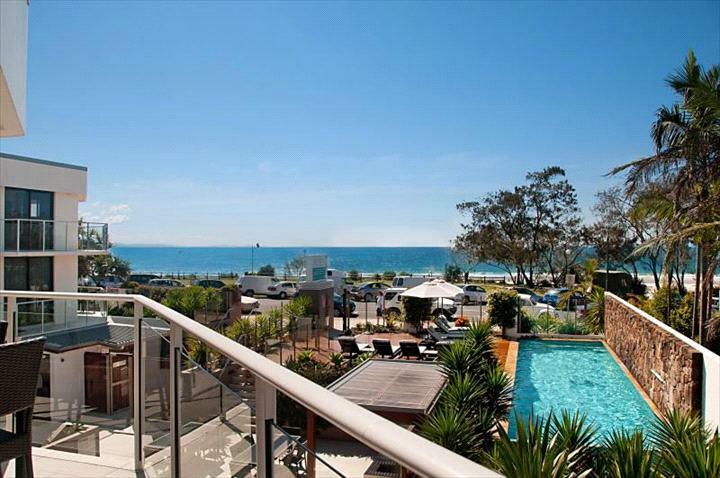 The complex has a lovely swimming pool and barbeque area at the front of the buildings so you enjoy views over to the sea. 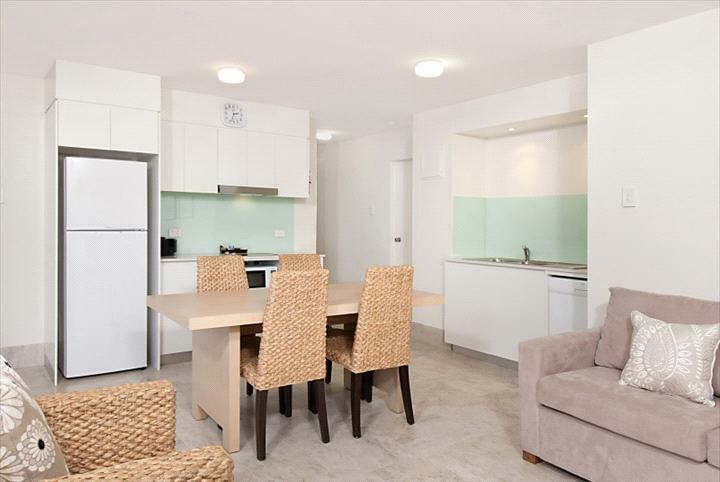 The apartments are within close proximity to the many restaurants and boutiques and is with in easy walking distance to all main venues within central Byron. The complex has a variety of 1 and 2 bedroom apartments, standard, superior and deluxe and caters for family holiday stays. 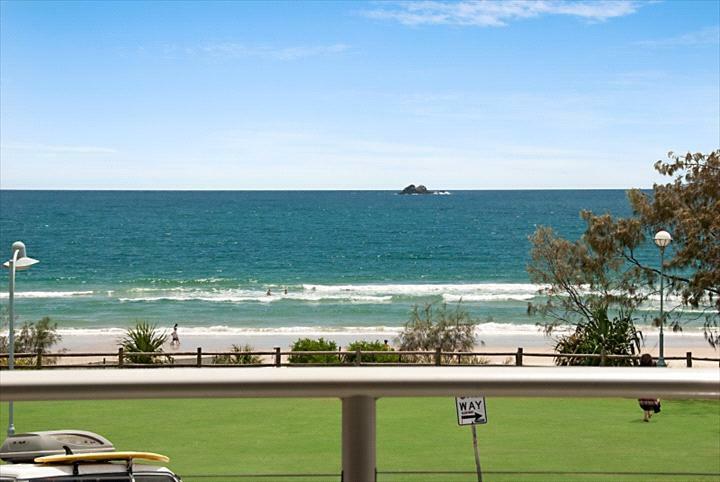 Apartments are categorised, dependent upon their size and position to sea views. 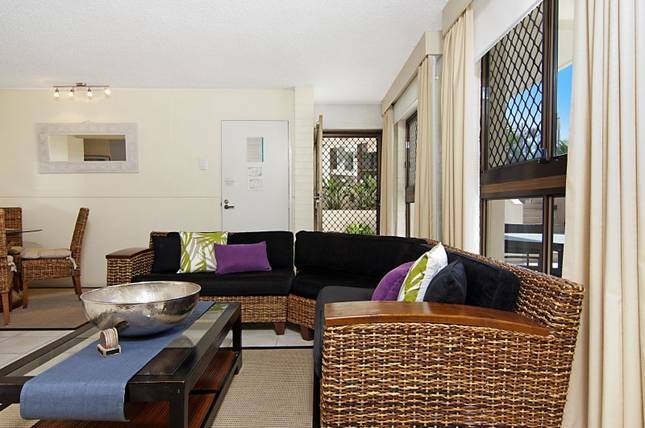 Most of the apartments have been recently renovated are air conditioned and tastefully decorated. 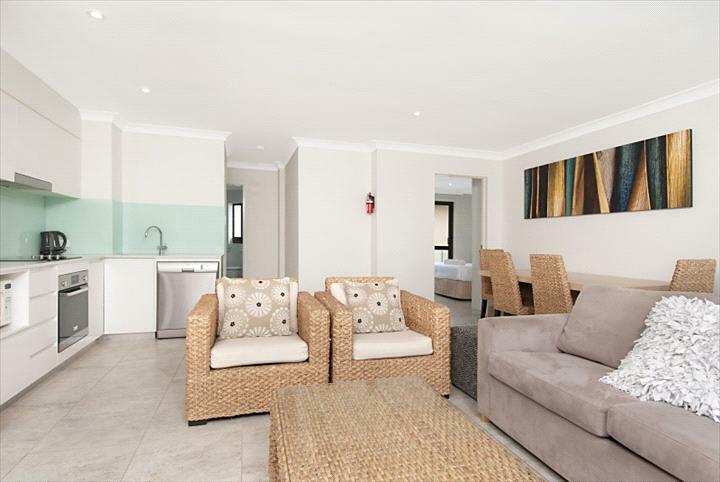 All apartments have self contained kitchens, dishwasher facilities and laundries with washing machines and dryers. 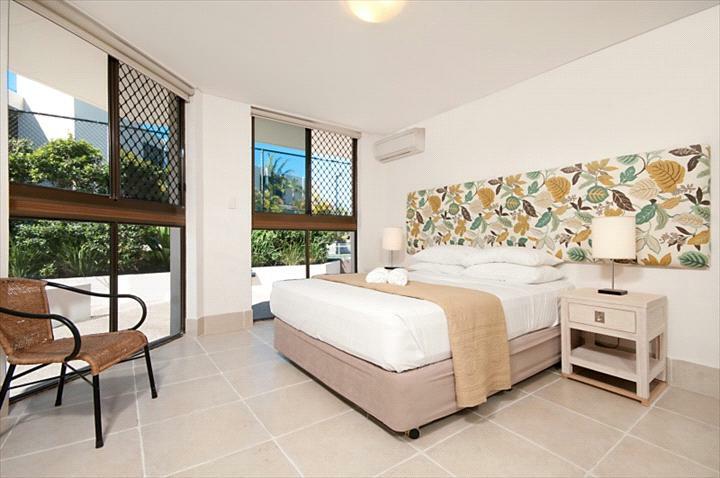 Standard room arrangements offer a queen size bed in the main bedroom and 2 single beds in the second bedroom. For any extra persons to those apartments sleeping 4 or 2 persons, a sofa bed or rollaway can be arranged for an additional charge. Bayview Cancellation Policy All cancellations will incur a $100 administration fee, and within 30 days no refund will be given. If the booking is not cancelled the full tariff will be charged to the credit card supplied, as the apartment/s will be held unless otherwise notified. There are no refunds or rate changes for a shortened length of stay after check-in or within 30 days of arrival. Cancellation of Xmas/Easter/Schoolies bookings will forfeit the total deposit paid, and these bookings are non-transferable. We reserve the right to cancel your booking at any time and issue a full refund in the event of any unforeseen circumstances. Please make sure you take out travel insurance to cover any unforeseen cancellations.